Swagelok’s medium- and high-pressure valves, fittings, and fluid-control devices are engineered to handle all the pressure that comes your way. 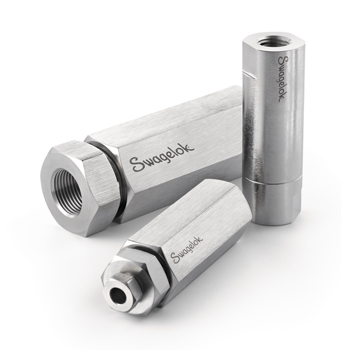 The simple two-piece design of the Swagelok patented medium-pressure tube fittings and adapters (FK Series) consists of a female fitting body and preassembled cartridge containing the male nut and color-coded front and back ferrules on a disposable plastic arbor. The preassembled cartridge ensures installers correct ferrule orientation, visual confirmation of ferrule presence, and easy and proper installation into the female body. The Swagelok medium-pressure tube fitting offers a leak-tight gas seal and vibration resistance in applications up to 20,000 psig (1378 bar). Learn how a customer used our Medium-Pressure FK Fittings to save both time and money. Cone and thread connections (IPT Series) provide dependable medium- and high-pressure performance in applications up to 60 000 psig (4134 bar). 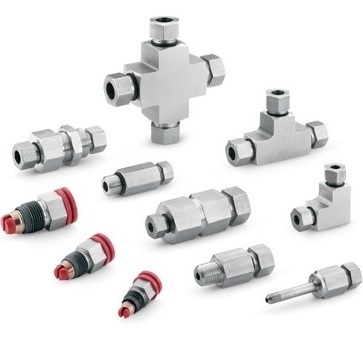 High-pressure fittings (Sno-Trik Series) are designed for pressures up to 60,000 psig (4134 bar), with both tube and pipe connections available. 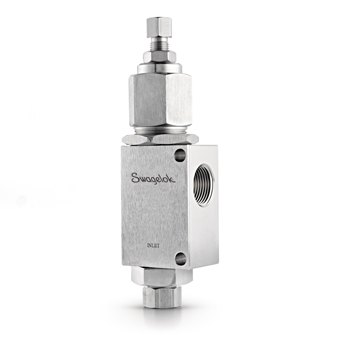 Swagelok offers both trunnion-style ball valves (Up to 20,000 psig (1378 bar) and subsea service ball valves (Up to 15,000 psig (1034 bar) with end connections 1/4 to 1 in. in size. for medium-pressure applications. 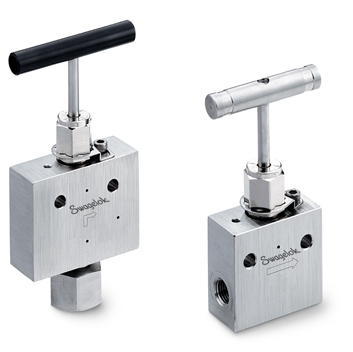 Swagelok proportional relief valves provide simple, reliable, over-pressure protection for a variety of general-industry applications up to 20 000 psig (1378 bar) and have easy external set pressure adjustment from 1000 to 20 000 psig (68.9 to 1378 bar). Medium-Pressure Tubing (FK Series) For use with Swagelok FK series fittings, choose from heavy-wall annealed or Cold-drawn 1/8-hard tubing. Cold-drawn 1/8-hard is more robust and allows for reduced wall thickness and enhanced flow through the same diameter tube. Cone and Thread Tubing (IPT Series) Swagelok offers cold-drawn 316 stainless steel, nominal OD, medium-pressure tubing with working pressures up to 20 000 psig (1378 bar) for use with medium-pressure fittings, as well as high-pressure tubing rated up to 60 000 psig (4134 bar) for use with high-pressure fittings. 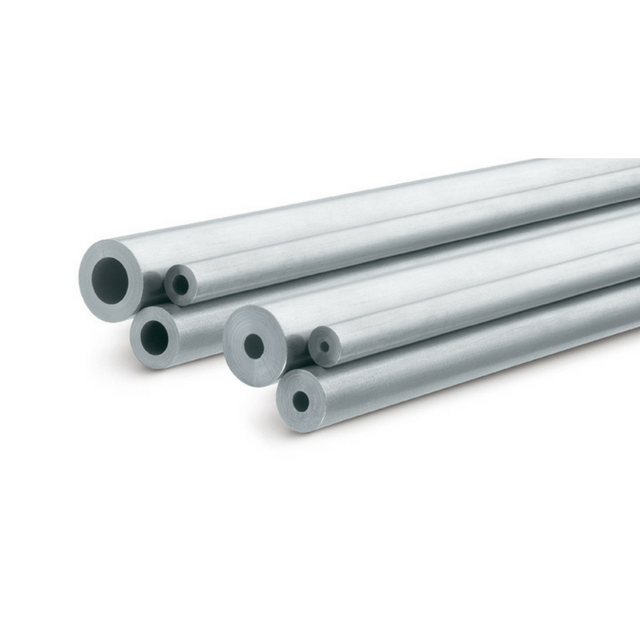 High-Pressure Tubing (Sno-Trik Series) Connect Swagelok Sno-Trik products with our pre-coned tube lengths of strain-hardened or annealed true OD tubing. Stain-hardened is more robust and allows for reduced wall thickness and enhanced flow through the same diameter tube. Available lengths range from 2 to 120 in. (5 to 305 cm). Ball-seal poppet, soft-seal poppet or dual-seal ball check valves are available with working pressures up to 60,000 psig (4134 bar) and a nominal cracking pressure of 15 psi (1.0 bar) in 316 stainless steel with end connections 1/4 to 1 in. in size. The IPT series needle valves are available in 2-way and 3-way configurations, straight and angle patterns working pressures up to 60 000 psig (4134 bar), Sno-Trik Series high-pressure needle valves enable working pressures up to 45 000 psig (3102 bar). IPT series block and bleed valves are available in single block and bleed and double block and bleed (up to 20 000 psig (1378 bar). 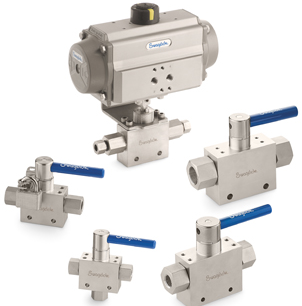 Fill the form to get quick links to Swagelok Medium- and High-Pressure Products literature.